What a wonderful week this has been. Although I wasn't able to spend it with family, I was lucky enough to visit good friends in DC and Virginia. It was amazing to catch up with everyone and eat delicious food! Kristin's mom prepared stockings for us! Also, I've never seen so many Christmas and festive things in a house before. They even had a shower curtain and mat with a holly on it, and utensils with Christmas decorations. 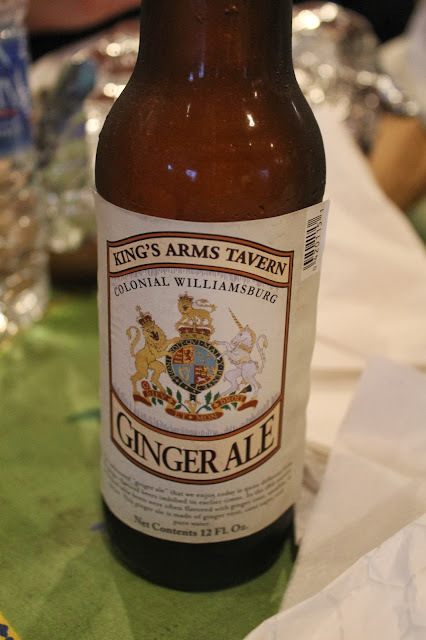 Ginger ale in Colonial Williamsburg. Loved the coat of arms on the label. These girls make me laugh. A lot. Christmas breakfast of Manchego cheese, crackers, scrambled eggs, ham, and salmon. A vino and cheese lunch at Screwtop before heading back to NYC. merry christmas and happy new year Lauren. Looks like you had a wonderful time in VA.